This picture was taken in the week, when Alex was being a bit of a monkey, crawling everywhere and manically pulling out everything and anything, including all his toys from the toy box. 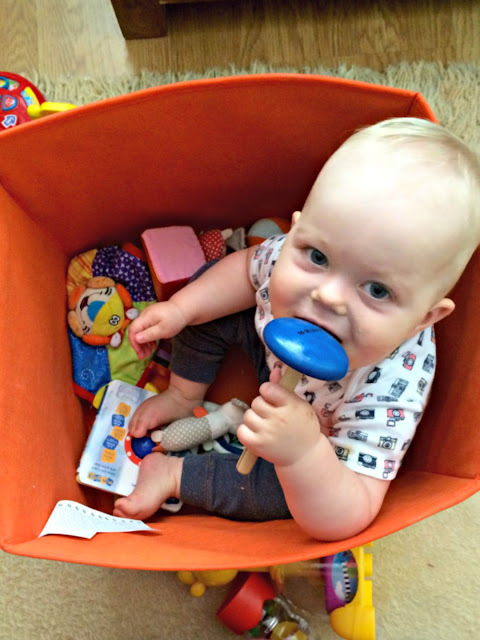 John and I were saying that we’ll probably need a playpen – so I just took Alex and placed him in his toy box for a giggle. He thought it was funny, too! Cute photo! My two still love sitting inside toy boxes and they're 6 and 3!